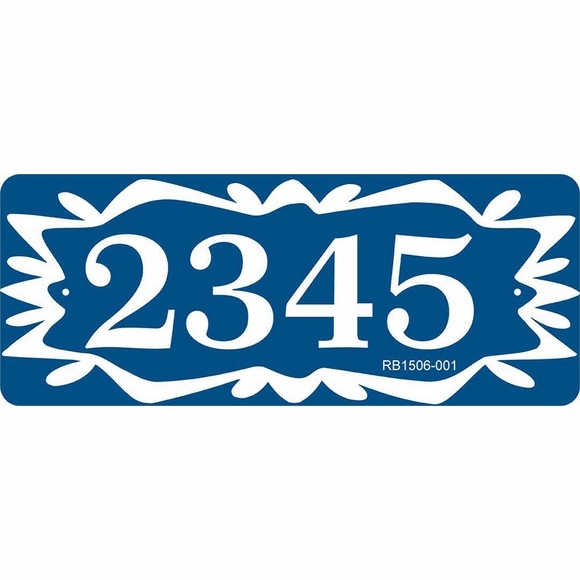 Personalized 15x6 Address Sign with Folk Art Border - - one line house number sign holds up to four (4) 3" numbers. Made in USA. 15" x 6" address plaque made from sturdy and UV-stabilized laminated acrylic with engraved personalization. Rectangle shape features unique radius corners instead of sharp points. Customized with your choice of color and the address you specify. Note: The style number you see in the lower right corner of the sample does not appear on your plaque. Dimensions: 15" x 6" x 1/8".